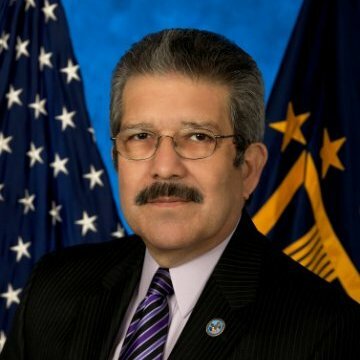 Arthur L. Gonzalez, the Department of Veterans Affairs’ Principal Deputy Assistant Secretary for IT and the deputy chief information officer for service, delivery, and engineering since 2013, will resign from his post March 5. LaVerne Council, the department’s CIO, made the announcement today in an email to staff obtained by MeriTalk. According to the email, Gonzalez has already started his transition and Susan McHugh-Polley will take over as acting deputy CIO. Gonzalez, the former CIO at the Internal Revenue Service, joined VA in September 2013. At the time of his return to government service at VA, Gonzalez was serving as a senior vice president and CIO of TISTA Science and Technology, a veteran-owned business based in Rockville, Md. The company won a $25 million contract for financial auditing services just one month prior to Gonzalez joining VA.
McHugh-Polley has served as the executive director for field operations under Gonzalez since 2014. In that capacity, she has been responsible for overseeing all operations and maintenance activities related to VA’s IT environment. McHugh-Polley also led the VA Enterprise Cybersecurity Strategy Team, appointed by Council in 2014 to develop an enterprisewide cybersecurity plan for the agency.